Preparations for the Club World Cup in Morocco are continuing "as planned" despite concerns over the Ebola epidemic, Fifa has said. The 10-day tournament, which features Champions League winners Real Madrid, is due to start on 10 December. Fifa said it was in contact with the Moroccan authorities and taking advice from the World Health Organization to "constantly update its position". Morocco is also due to host the Africa Cup of Nations in January 2015. "The health of players, officials and football fans remains the highest priority, just as it would for any Fifa competition‎," the world governing body said in a statement. 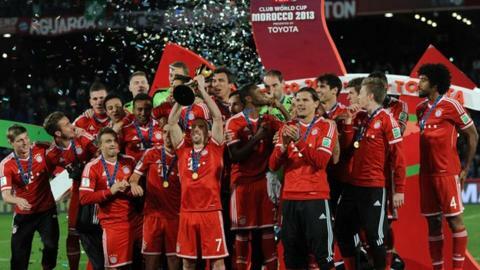 Who will be at Fifa Club World Cup 2014? "According to the World Health Organisation, there are currently no cases of Ebola reported from Morocco and therefore all preparations continue as planned." The Club World Cup brings together the champions of each of Fifa's six confederations and the national league champion from the host country. Matches will be played in Rabat and Marrakesh. The current Ebola outbreak has infected more than 10,000 people and killed almost 5,000.